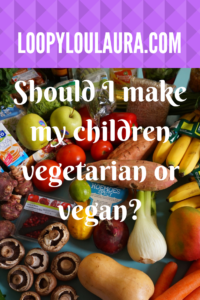 Should I make my children vegetarian or vegan? I’m now two thirds of the way through my first month as a vegan and am all set to continue, hopefully for the rest of my life. This week I have hit a new dilemma as preparing meat for the children to eat made me feel physically sick to the point of retching. I always said that lifestyle choice should be down to the individual and I never had any intention of forcing my views onto my children. Veganism is not about food. It is a way of life, a philosophy that underpins our existence. As such, it cannot be imposed but must be accepted as rational truth by each person who dedicates themselves to ending the slavery of animals for the benefit of humanity. I have no wish to indoctrinate others but I would ask readers of my blog to educate yourselves and make informed choices. There are practical reasons for wanting my children to be vegetarian as a minimum. We throw an awful lot of food away. If the children became vegan or vegetarian then we could use up leftovers and do more batch cooking. My children have eaten several vegan meals in the last few weeks and I think they would easily be able to get the right nutirents to support their growth. My fears are that I don’t want to enforce a choice on them. I don’t want to make their lives awkward when others are tucking into sausages at parties or school. Veganism is still seen as different and unusual. 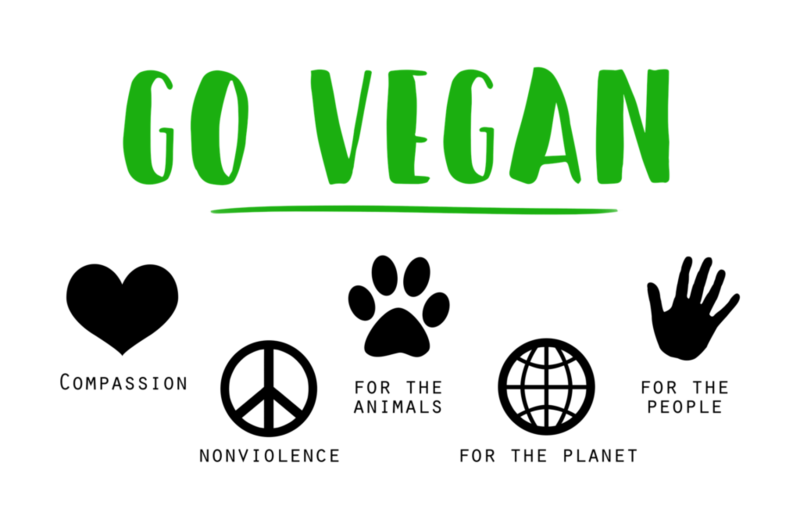 Food brands and restaurants are making an effort to be more inclusive but choosing to be a vegan in our current society is life limiting. Labelling is grossly inadequate and inconsistent. Opinion is the media is unflattering at its kindest. In the news this week, they have been discussing the planetary diet which significantly reduces the amount of meat and food that we eat for the sustainability of the planet and human race. 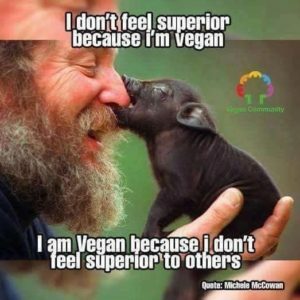 I am fully aware that there are controversies and problems associated with veganism in terms of farming methods and the militant actions that some take. I have written before that as humans we should be kind to ourselves just as we should to animals. Thinking of the harm we cause to animals is not a pleasant topic. I thought that 20 years of vegetarianism had made a difference but by continuing to consume animal products I was still perpetuating the killing process. My dilemma is that if I showed my children the images and videos which haunt me, they would choose veganism, or at least vegetarianism, instantly. However, I believe they are too young to see the cruelty that we inflict and want to protect them. At the same time, I want to protect their future health and that of the planet by reducing their meat intake. Yet my children are individuals with the freedom to choose their own way in life, to find their own happiness. But don’t all children of all species deserve the same…? Children can eat as their parents do. Why not teach them vegetarian ways so they have options when they eat outside of the home? Veganism is harder to eat out with but vegetarians are pretty well catered for. You can cook them loads of vegan meals at home. I am learning so much from your posts on the vegan life! 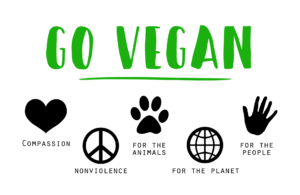 My daughter is 10 years old and in September she made the choice to become Vegan – I have always wanted to do it but never have done so we did it together. I did fall off the wagon a little in December – during Christmas and with my Christmas meal in work. But this was all her choice and all her doing. All meals we make in the house now are Vegan, my partner tries it and majority of the time likes it. However my boys aren’t keen – I can’t force it. So we normally have the vegan main meal with a side of what they like in the hopes that we can slowly eradicate it from our house! It’s hard to decide for them, but eventually they will see that it is for them that we are doing it, and the world that they will grow up in. Harry already has an egg allergy so he is used to sitting without cakes at parties! Plus we just bake and take our own! Perhaps you could choose vegetarian first , then move on to veganism when they are older and able to understand better? I think you should feed the children what you eat. That’s what I always did. When they grow up, they can make their own choices. My Mrs. and I are vegetarians, and have been for ever. 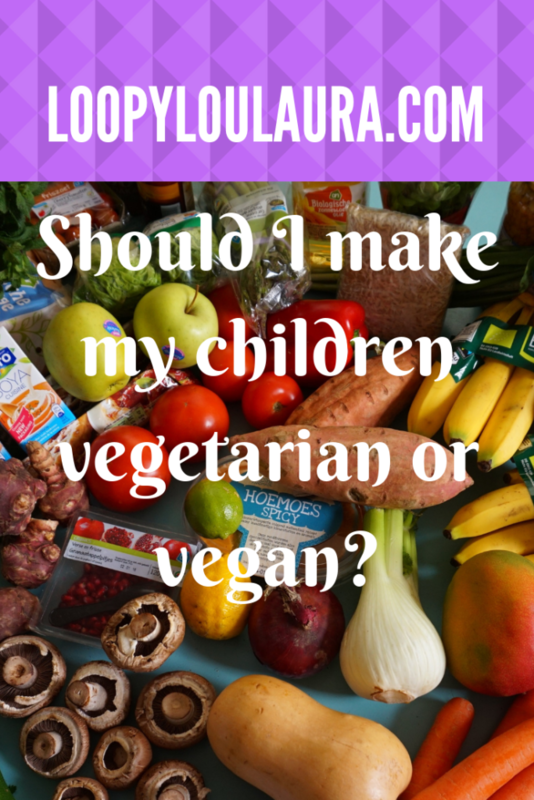 We made a conscious choice not to force the kids to be vegetarian for a few reasons. This is a tough one, Laura! Go forth and prosper. A dilemma for sure. You and I have to consider their body’s and needs too. I think that as they are so young, why not eat vegetarian food as a family and let them choose at parties? You are right they are definately too young to see some of the images that are out there -you don’t want to scare them! However, I don’t think moving to a vegetarian diet would be hard. Personally, I think that young children need a little animal protein in their diet -this is only my view -so organic eggs, honey and organic milk would be trickier to stop? I suppose you know your family and you know them best. If you are covering all their dietary needs and they will eat a wide vegan diet, then why not? Parents always impose their views on their children. From religious to food, to how to behave, and so on. It’s not like a child is born with a set of requirements in their hands in which is mentioned if he/she wants to eat meat or be baptised. Parents have to do what they think is best for their children and you asking yourself what is better means you care a lot. If you want my opinion, I would say you can tell them where their food comes from. Go with them in a weekend at a farm and show them a sheep, a pig, a chicken, and a cow and tell them how it is made. No need for gruesome details, just for them to understand that a piece of beef comes from what was once a cow. If they are happy with eating meat, then it’s their choice. Maybe they would want to eat meat, but less. Also, I fully understand your feelings when it comes to cooking meat. I can’t do it, for me is just as appealing as road kill. I can’t cook it, but I don’t have to, as my husband and I are both vegetarians. I’m back again, and this time from #globalblogging.